Welcome to the 2018-2019 school year for San Gabriel Mission Elementary School. 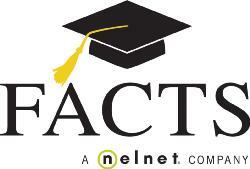 We are pleased to offer you a secure, online method to enroll for your payment plan with FACTS. Please click the "Next" Button below. Then under ‘New User’ select ‘Get Started’ to begin. If you have any questions, please contact San Gabriel Mission Elementary School at 626-281-2454 or FACTS Management Company at 866.441.4637.